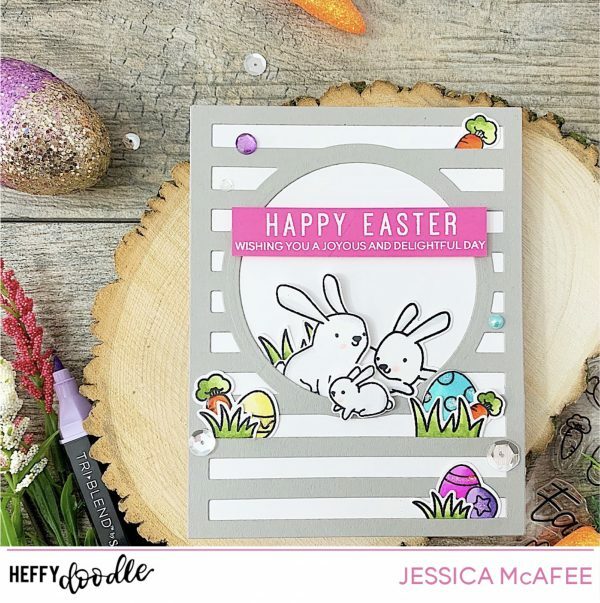 Hi Heffy Doodlers, it’s Jessica here with quick yet adorable Easter card! I started with the card front and die cut a striped background in grey cardstock adhering to a white card base. Next, I stamped the main images from Honey Bunny Boo and colored them in using Spectrum Noir TriBlend Alcohol markers. Once I was happy with the blend, I ran them through my Gemini using the corresponding dies. 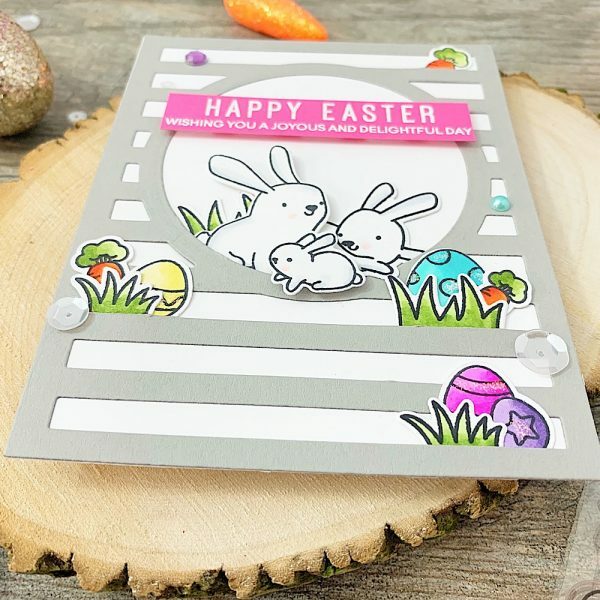 For the sentiment, I heat set the Easter greeting from the Special Day Sentiment Duos on pink card stock. 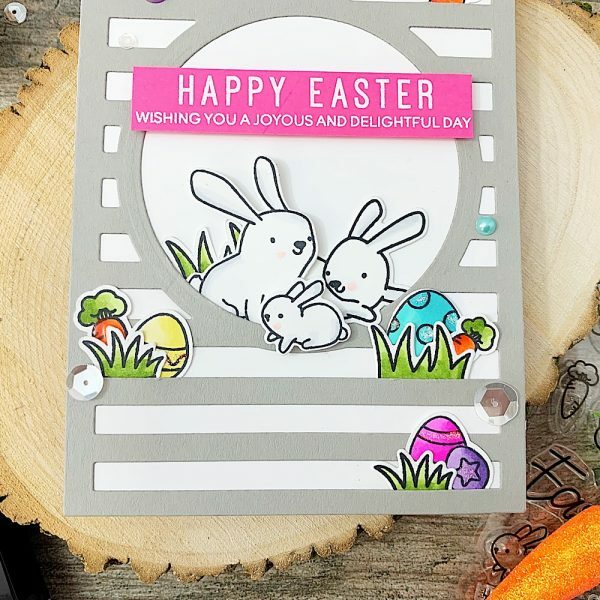 To finish off the card I added Ranger Stickles to the easter eggs, coordinating sequins and 3D Foam tape for dimension. Thanks so much for stopping by!